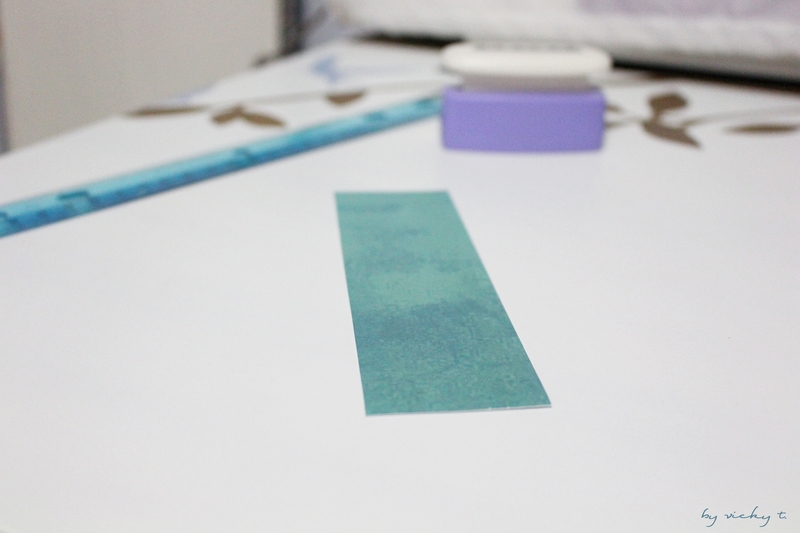 I first start off with a long rectangular strip of card stock paper. Then, I punched in a shape using a paper punch/shape cutter (which I used in this post) towards one end of the strip and a hole on the other end. 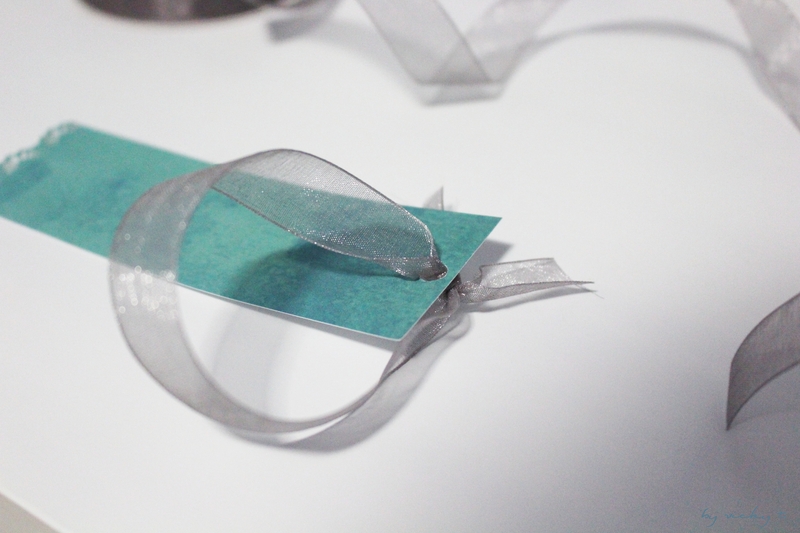 After placing a small piece of ribbon through the hole, the book mark is complete. Alternatively I could use this as a name/address label for my luggage as well. What do you usually do with your leftover materials? Pretty 🙂 I love seeing what you’re going to make next Vicky. What do you do with all of the things you make? I just have so many small little pieces of paper lying around and I really need to do something about them haha. Thanks for stopping by. simple and useful,such a talent hugs binG. I think I might’ve did some when I was in school haha I’ll look into it. Thanks for the idea Nadia! 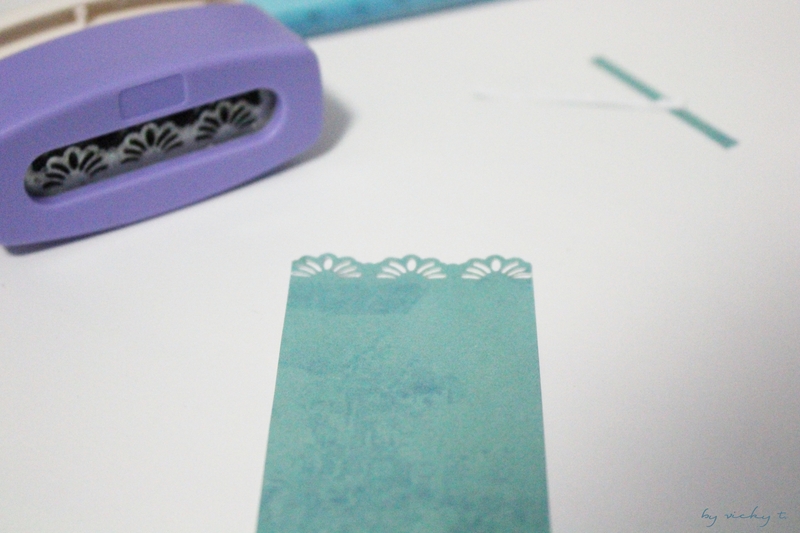 I’ve definitely got some ideas to make some cute cards for friends/bookmarks using this idea! I’ve got so many of those shape cutters leftover from childhood I can’t image why I never thought of this sooner. Could play around with fabrics and not just paper too! AMAZING IDEA, I LOVE THESE CREATIONS! Thank you. I will make sure to check out yours as well.